Now that the craziness of the week is over, we can sit back and reflect on how great TechCrunch Disrupt was once again. And yes, even in the post-AOL acquisition world, we’ll keep on holding them — though sadly, not until next year at a place and time to be determined. But if you can’t wait that long, we’re happy to announce something that might interest you. As you probably know, LeWeb is the premiere large technology conference in Europe. Last year, the Paris-based event attracted some 2,500 participants from 50 countries. It has gotten bigger each year since it began in 2004, and TechCrunch has happily been a partner since 2007. And this year we’re kicking it up a notch. 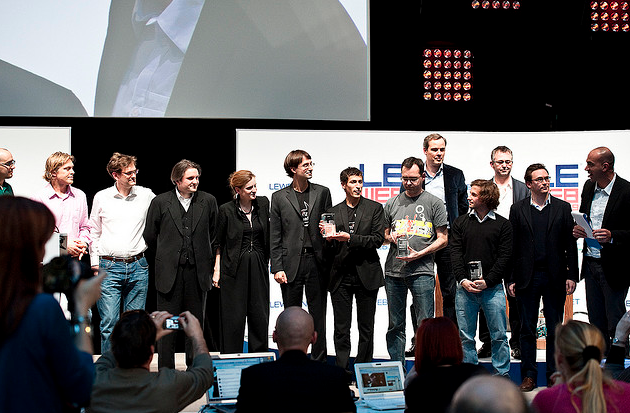 LeWeb ’10 will feature a startup competition that will be a bit like a mini TechCrunch Disrupt. Instead of the 25 startups launching onstage that we have at our Disrupt conferences, LeWeb will feature 16 startups which will pitch in the startup room on December 8, the first day of the conference. From those 16, a group of judges will pick the best 3 — and those companies will get to present the next day, December 9, on the LeWeb main stage. LeWeb has done a startup competition in previous years, but it has always been relegated to this startup room, which has about 400 seats. This year, the three companies picked will now enter the big room, where they’ll present in front of nearly 1,500 people. And unlike previous years, the winners won’t be announced beforehand, so each company will present to win. August Capital partner David Hornik will host the startup stage this year. And yes, we’ll be there as well — which always makes for interesting times. Startups interested in applying to be one of the lucky 16 chosen to present should visit this page to sign up. Registration is free and selected startups will get two complimentary presenter tickets as well as a free DemoPod (presentation booth). Registration ends October 15. Meanwhile, any TechCrunch readers interested in attending LeWeb this year can use the code TC2010 to get a 200 Euro discount. You can register here. 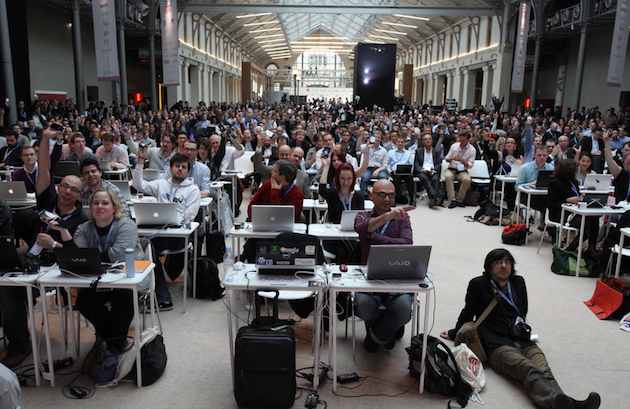 Again, LeWeb will be held December 8 and 9 this year in Paris. We hope to see you there.